California rang in the new year by becoming the first state to ban pet stores from selling commercially bred dogs, cats and rabbits. Passed in October 2017, the law took effect just this year on Jan. 1 and puts a serious damper on "puppy mills," many of which are notorious for breeding under poor conditions that hurt the health of the animals. Many Southern California cities, Los Angeles included, had similar bans on sales of commercially bred pets in place for several years. But California wins the title of the first state to require pet stores to sell only rescued animals. 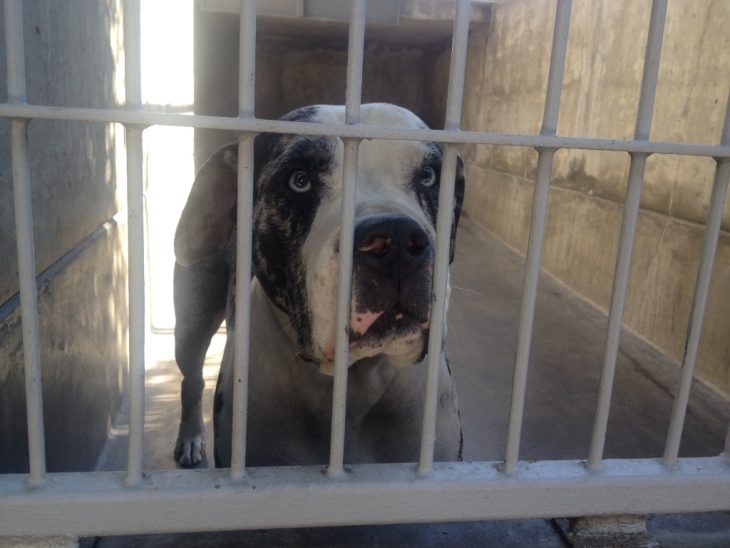 At least in Los Angeles County, the law is more about the statement it makes, said Jack Hagerman, vice president for communications at the Pasadena Humane Society & SPCA. "This was California's way of saying, 'We don't think it's cool for commercial breeders to put more and more animals in the world who have a lot of health and behavior issues,'" he said. Pet stores are required to develop cooperative agreements with at least one public or private animal shelter. The Pasadena organization already has partnerships with four nearby pet stores that house and sell its rabbits and cats, while its dogs make appearances in mobile adoption events. "It's a formula and a business model that works really well," Hagerman said. As for which locations get the best rescued animals from the shelter, Hagerman said it's more about which animals can handle the pet store environment. If an animal is older, more sickly, or needs extra accommodations, it likely will remain at the shelter or stay in a foster home. But Hagerman said while the humane society is against puppy mills, it isn't anti-breeder. If you still want a purebred corgi, you can get one from a responsible breeder by asking the right questions. Among them: how often does a seller breed their females? Are they breeding the animals with a focus on health or aesthetics? "Because when you breed for something specific, it will be at the expense of something else," Hagerman said. "And a responsible breeder will have a very clear and well-thought out answer for you." Annette Markese, owner of the Super Pets store in Temple City, used to sell rabbits. After the law passed, she decided she would stop before the new year. She sold her last rabbit last month. "It's a lot of work, and it's a lot of liability," she said. But even so, she said California made the right choice in passing the law. She said it gives homeless animals a better chance at finding a good home. "It makes people not impulse buy," she said. "It makes people think twice about buying an animal that lives 10 years. If they have to go and adopt them, it makes them think twice about their purchase." Hagerman agreed the law makes people consider their purchase. "When pets go to stores, they're seen as a product," he said. "[But] buying a pet isn't like buying a pair of jeans — where if the jeans don't end up fitting that well a week from now, you can just discard them in the Goodwill bin." Often, shelters like the Pasadena Humane Society "end up becoming the Goodwill for live animals because people weren't prepared," Hagerman said. Pet stores face a penalty of $500 per animal if they violate the law.